I’m taking the last sip of home-brewed purple liquid. It’s sweet yet balanced, fizzy yet quenching, smooth yet these words look a bit blurry. It tastes like a dangerously well-mixed drink. And just 48 short hours ago, it was Welch’s. 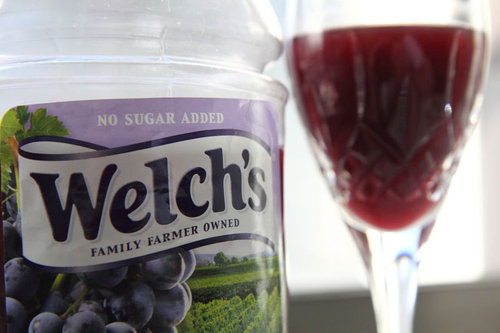 Yes, good old Welch’s Concord Grape Juice. And something about enjoying the beverage in such an adult manner makes my inner child weep.